Yay! It Friday! 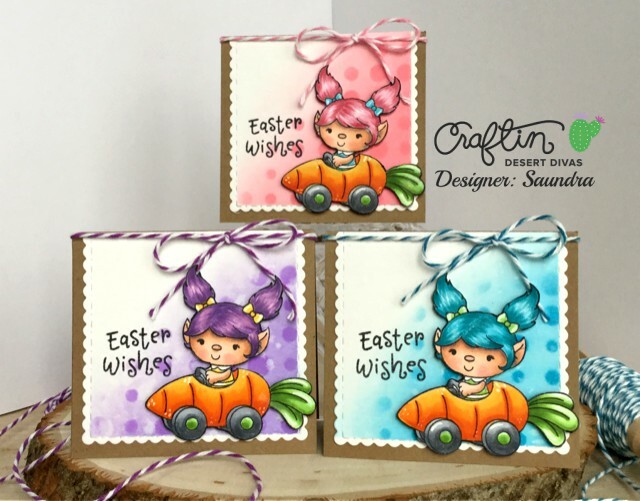 Today is the day that the new Craftin Desert Divas products will be in the the CDD Shop! 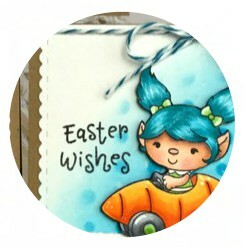 If you h ave been following on Facebook then you know all the cuteness that is in this release. Today I am sharing 2 cards with the new Jelly Bean Kisses Stamps. My first project is a set of gift cards. I had a different plan in mind when I started coloring these girls in their carrot cars but ended up changing it. So, I colored three girls with Copic markers and mounted them with foam tape on my prepared card base. My card base measures 2.75 x 3 inches. I added a layer of white the I cut from CDD Fancy Frame Dies. I got my Distress Oxide Inks out and the new Sorted Shapes 2 Stencil and inked up the background. I was able to find inks that matched the girls hair, which I thought was fun! I used Mermaid Lagoon, Wilted Violet, and Worn Lipstick. I added some twine from my stash and stamped my sentiment, included in the set. For my next project I created a scene. There are quite a few layers here so I will start from the base. My base is a standard A2 sized card, I inked it with some Distress Oxide ink in Peacock Feathers and a stencil I created using CDD Stitched Scallop Dies. Next I added the tree from the CDD Scenery Dies. I added some Copic marker to the leaves for a little definition. The next layer is the picket fence and grass from the Outdoor Landscape 2 Dies. To create my garden, I used the CDD Garden Border Dies. I used 2 layers and added all of the carrots and plants I could fit. I cut those out in white cardstock and colored them with Copic markers. My little sign is hand lettered. What is a carrot patch without a few bunnies?! 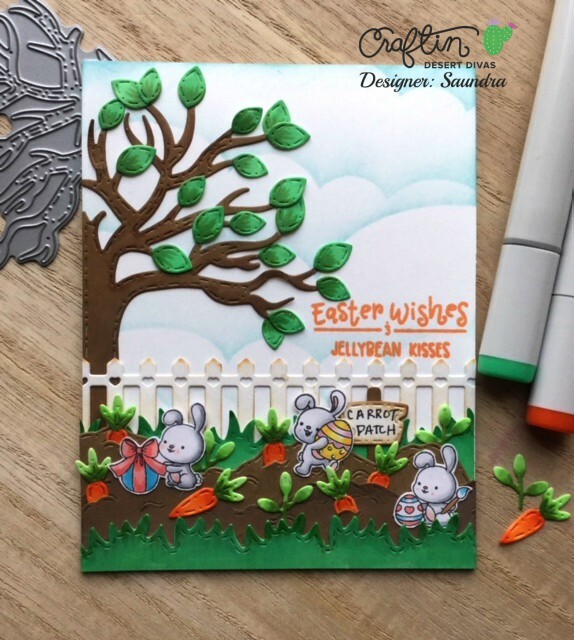 I had to add these darling bunnies from the new Jelly Bean Kisses stamps. they are the perfect size for this garden and they are so cute. Copic markers were used to give them a little color, as well. This is the ;last day of the sneak peeks. All of the new products can be found in the CDD Shop later today! So get your list ready! !